I plan to build a variation of these for my next crop of snow peas. The plans start in the shallow beds, then grow up the frames. The U-shaped pattern would allow you to walk into the assembly and pick peas in three directions without having to move much. 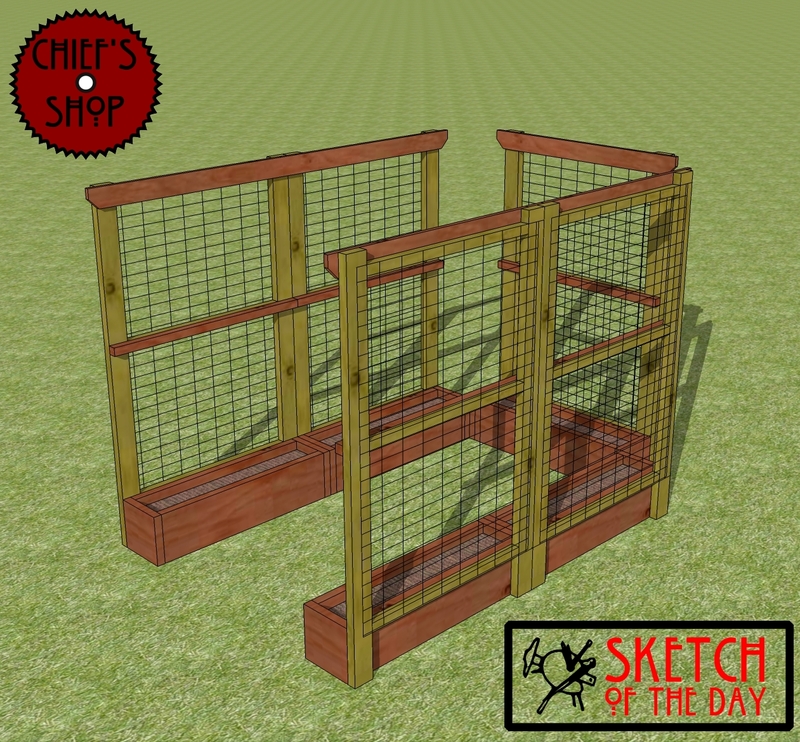 If the boxes were turned around and placed on the outside that would be an awesome dual purpose chicken run.